Everyone's favorite french teens have joined the party! Get ready fanboys and fangirls, for Miraculous Ladybug and Cat Noir! Marinette, AKA Miraculous Ladybug is a normal girl living a normal life, but she has a big secret. 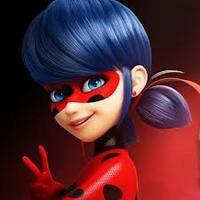 When Paris is in trouble, she, and her Kwami, Tikki, transform into Ladybug! She got her powers from Master Fu, or The Great Guardian after saving him from a car that was going to hit him. He then, without Marinette knowing, gave her the miraculous. Ladybug has superhuman agility and the power of creation through her lucky charm ability. Adrian, AKA Cat Noir, is the son of Gabriel Agreste, a famous fashion designer but he has a big secret. 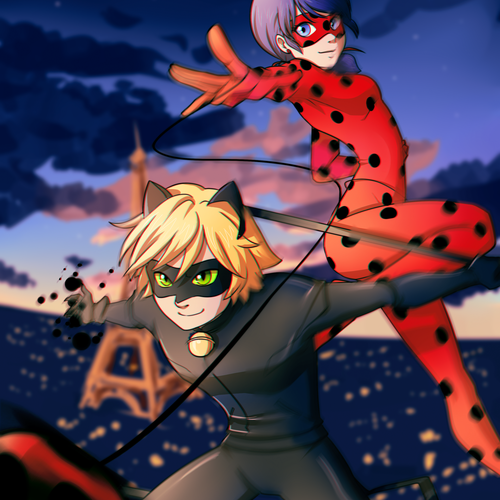 When there's trouble in Paris though, he and his Kwami, Plagg, transform into Cat Noir! Adrian got his powers from Master Fu or The Great Protector when he helped him to his feet and gave Master Fu his cane. Then without noticing, Master Fu gives Adrian the Cat Miraculous. Adrian has superhuman agility, trained in martial arts, and the power of destruction in the form of his ability, Cataclysm. Hey there, Buggaboo! What's shakin'? Ohh... I'm out of energy Marinette. Do you have any food on you? I think it might be a good time to transform! Woah... where are we Marinette? 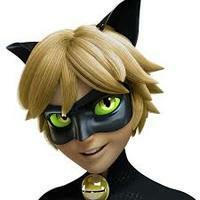 Plagg is the embodiment of the Black Cat Miraculous. He appears only when one dons the ring of the Black Cat and can grant the wearer extraordinary powers. Plagg has a high rough voice, so my opinion is to just find a video online with him in it so you can hear what his voice is like.